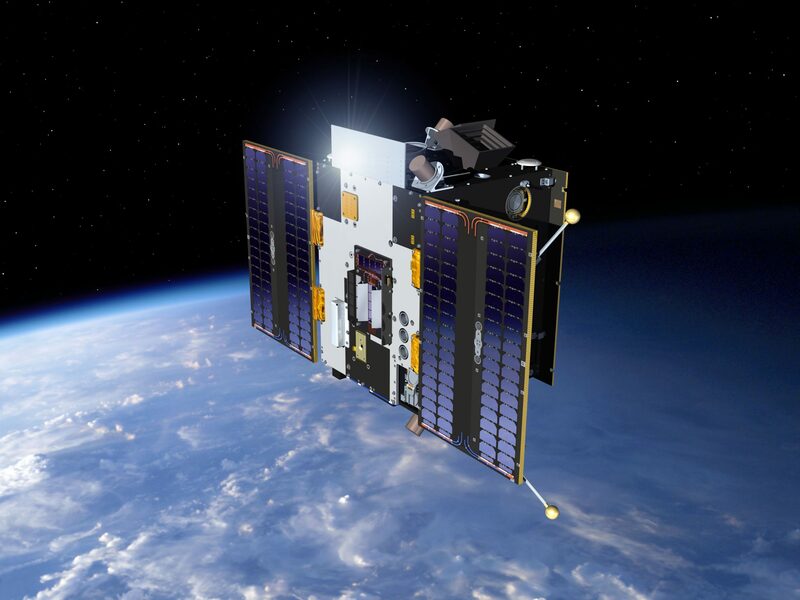 A multimillion dollar University of Colorado Boulder instrument package expected to help scientists better understand potentially damaging space weather is now slated to launch aboard a National Oceanic and Atmospheric Administration satellite on Saturday, Nov. 19. Designed and built by CU-Boulder’s Laboratory for Atmospheric and Space Physics (LASP), the instrument suite known as the Extreme Ultraviolet and X-ray Irradiance Sensors (EXIS) is the first of four identical packages that will fly on four NOAA weather satellites in the coming decade. EXIS will measure energy output from the sun that can affect satellite operations, telecommunications, GPS navigation and power grids on Earth as part of NOAA’s next-generation Geostationary Operational Environmental Satellites -R Series (GOES-R). NASA’s contract with CU Boulder on behalf of NOAA to design, build, test, deliver and scientifically support the four instrument packages is for roughly $105 million. The GOES-R satellite was built by Lockheed Martin Space Systems Co. in Littleton, Colorado and will be launched on an Atlas V rocket built by United Launch Alliance, headquartered in Centennial, Colorado.